He brought it home as an intriguing memento, and it sat collecting dust on his mantelpiece for decades. When he died last year, his son Douglas brought it to an expert, Irving Finkel at the British Museum.Immediately it became clear the tablet was 3700 years old. Closer investigation revealed that it was an ancient instruction manual for building a huge boat to survive a flood – a boat that would go on to inspire the Epic of Gilgamesh, which in turn would inspire the story of Noah’s Ark. The Tablet reveals that this was no ordinary boat. 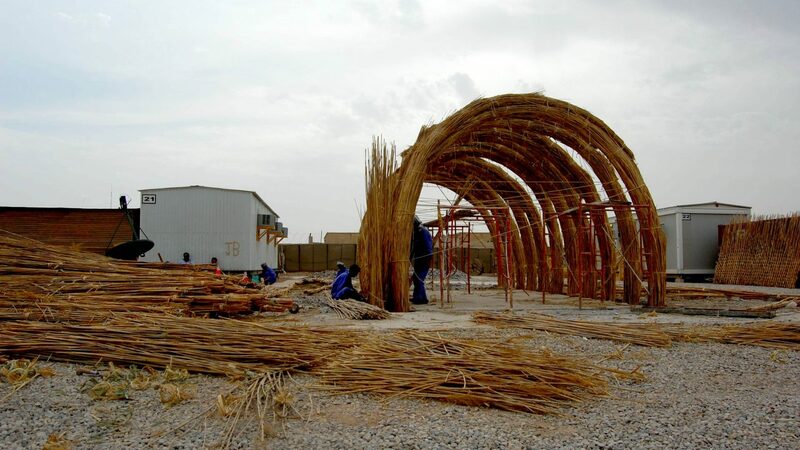 The boat was circular in shape, made of reeds and bitumen, and designed to carry a large number of animals… Some 3700 years later, working with leading boat builders and historians of the period, a team set out to rebuild the original Noah’s Ark.